There is an exciting opportunity to carry out a PhD project in the School of Environmental Sciences, Charles Sturt University, Albury, on the topic of historical river ecology. 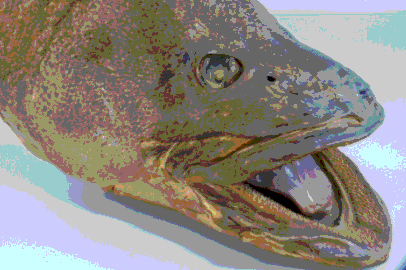 You will investigate aspects of the ecological, genetic and/or cultural significance of taxidermied Murray cod in pubs around the Murray-Darling Basin. There will be opportunities for travel and visiting some of Australia’s most iconic watering-holes. Potential candidates will need a First Class Honours, Masters degree or equivalent. The scholarship is funded through the Institute for Land, Water and Society (ILWS), one of six CSU Research Centres (equivalent Australia Postgraduate Award Stipend rate of $26,288 per year in 2016) with an additional top-up of $10,000 per year over 3 years from the Murray Darling Basin Authority (MDBA). You will join a lively research culture and be part of the Fish Ecology Collaborative Research Unit. For more information, contact Dr Paul Humphries, Charles Sturt University: Email: phumphries@csu.edu.au; Phone: 02 60519920; or go to the ILWS website. This entry was posted in Environmental history, Fish Ecology, Freshwater fish, Historical ecology, River and History, River conservation, River research and tagged Environmental history, Fish, Freshwater fish ecology, Murray cod, Murray-Darling Basin, River research. Bookmark the permalink.